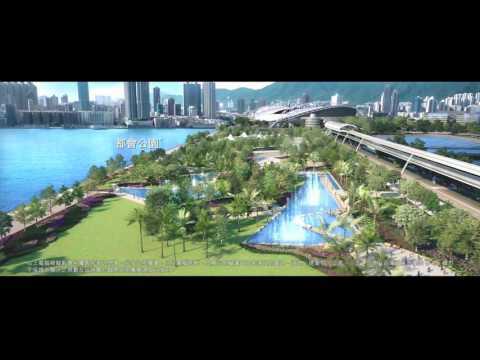 To the extent that this website www.onekt.hk/ONE constitutes an advertisement, this notice shall apply.This advertisement is published by the vendor (see below) or by another person with the consent of the vendor.Prospective purchasers are advised to refer to the sales brochure for any information on the development. Vendor: Ace Dragon Development Limited‧Holding Companies of the Vendor: China Overseas Land & Investment Limited, China Overseas Property Limited‧Authorized Person for the Development: Ronald Liang of LWK & Partners (HK) Limited‧Building Contractor for the Development: China Overseas Building Construction Limited‧The firms of solicitors acting for the owner in relation to the sale of residential properties of the Development: Deacons, F. Zimmern & Co., Chu & Lau and S. H. Chan & Co. ‧Authorized institution that has made a loan, or has undertaken to provide finance for the construction of the Development: The Hongkong and Shanghai Banking Corporation Limited (The loan has been settled and the bank undertaking has been released) ‧Other person who has made a loan for the construction of the Development: Chung Hoi Finance Limited‧One Kai Tak (I) comprises 2 Towers and 6 Blocks with a total of 545 residential units. #Website to be designated by the Vendor for the Development for the purposes of Part 2 of Residential Properties (First-hand Sales) Ordinance and containing electronic copies of sales brochure, price list(s) and register of transactions. The Vendor advises prospective purchasers to make reference to the sales brochure of One Kai Tak (I) for details of the development. This advertisement is released by the Vendor. Kai Tak, location of the legendary Kai Tak International Airport, is the landmark of Hong Kong prosperity. Nowadays, Kai Tak is transformed into Kai Tak Metropolitan. 2 high-rises Towers and 6 low-rises Blocks. It offers 545 residential development from 1 to 4 bedrooms. ◎The rendering represents an artist's impression of the Development concerned only. It is not drawn to scale and/or may have been edited and processed with computerized imaging techniques and for reference only. The photographs, images, drawings or sketches shown in this advertisement/promotional material shows the proposed or incomplete railways, roads, buildings, facilities and district development, which are for reference only. Details of the Development (including but not limited to implementation, name, location, design, station entrance, route, intermediate stations, completion and opening time, etc.) are subject to the plan(s) approved by the relevant government authorities. The facilities may be abandoned or not completed when the Development is completed or occupied. Details of the Development after completion may be different from the information contained in this advertisement/ promotional material and are subject to the plan(s) approved by the relevant government authorities. The rendering shall not constitute or be construed as constituting any offer, promise, representation or warranty, whether express or implied. The Vendor advises prospective purchasers to conduct an on-site visit for a better understanding of the development site, its surrounding environment and the public facilities nearby. ※The rendering is for reference only and does not reflect the surrounding buildings or environment or any parts of the actual views and conditions of the Development. Air-conditioning units, pipes, grilles and other facilities erected on the external walls of the Development have been omitted. The relevant colour, fittings, finishes, appliances, plants, facilities, furniture, displays, decorations and other objects shown in the rendering may not be provided in the completed development area. The prospective purchasers should not rely on the renderings for any purposes. The Vendor advises prospective purchasers to conduct an on-site visit for a better understanding of the development site, its surrounding environment and the public facilities nearby. The rendering shall not constitute any offer, promise, representation or warranty, whether expressed or implied. The Vendor also reserves the right to make modification and changes according to the actual circumstances. +The rendering represents an artist's impression of the Development concerned only. It is not drawn to scale and/or may have been edited and processed with computerized imaging techniques and for reference only. The facilities, layout, intervals, specifications, size, colours, materials, equipments, lighting, furniture, plants and other objects shown in the images may not be provided in the completed development area. The prospective purchasers should not rely on the renderings for any purposes. The Vendor reserves the right to make modification and changes according to the actual circumstances without prior notice. Vendor: Ace Dragon Development Limited‧Holding Companies of the Vendor: China Overseas Land & Investment Limited, China Overseas Property Limited‧Authorized Person for the Development: Ronald Liang of LWK & Partners (HK) Limited‧Building Contractor for the Development: China Overseas Building Construction Limited‧Vendor’s solicitors: Deacons, F. Zimmern & Co., Chu & Lau and S. H. Chan & Co. ‧Authorized institution that has made a loan, or has undertaken to provide finance for the construction of the Development: The Hongkong and Shanghai Banking Corporation Limited (The loan has been settled and the bank undertaking has been released) ‧Other person who has made a loan for the construction of the Development: Chung Hoi Finance Limited ‧One Kai Tak (I) comprises 2 Towers, 6 Low rises with a total of 545 residential units. The Vendor advises prospective purchasers to make reference to the sales brochure of One Kai Tak (I) for details of the development. #Website to be designated by the Vendor for the Development for the purposes of Part 2 of Residential Properties (First-hand Sales) Ordinance and containing electronic copies of sales brochure, price list(s) and register of transactions. The Vendor advises prospective buyers to make reference to the sales brochure of One Kai Tak (I) for details of the development. This advertisement is released by the Vendor. © 2019 China Overseas Land and Investment Ltd. All rights reserved.